Sky’s newest channel, Viceland, will be ‘free’ to all subscribers but won’t be in HD. The youth-centric addition was announced overnight as part of a global roll out of Viceland to 51 countries. Here, it will be launched as part of Sky’s basic subscription package and will be in SD. In the US, Viceland is distributed to about 70 million homes and is a lifestyle and culture channel aimed at millennials. June 22, 2016: Viceland, the critically acclaimed lifestyle and culture TV channel produced by the global youth media company Vice, will launch exclusively on Sky later this year. The 24-hour channel will be programmed, developed and produced entirely in-house by Vice’s creative team, and the channel will be available for all Sky customers as part of the basic package. Content will also be available on Sky Go and on Sky On Demand for those who’ve connected their Sky box to the internet. Oscar-winning film director, Spike Jonze, serves as co-president of Viceland and is overseeing the development of the new channel. Programming will focus on a distinct, immersive style of original lifestyle and culture content for young viewers and will feature a slate of brand new Vice-produced programming. “While the Vice brand, and Viceland itself, undoubtedly appeals to a core yet diverse audience of millennials, I’d also expect inquisitive and open-minded Sky viewers to sample the service. Especially considering Vice often takes us to places, worlds, and subjects that seldom see the gaze of more ‘traditional’ media. Viceland launched to critical acclaim in the US in February 2016 and features hundreds of hours of original programming, including Gaycation (with Ellen Page and Ian Daniel), Huang’s World (with Eddie Huang), Noisey (with Zach Goldbaum), F*ck, That’s Delicious (with Action Bronson), Weediquette (with Krishna Andavolu), Balls Deep (with Thomas Morton) and many more. Viceland will be exclusive to Sky and available in every Sky home as part of its basic package. Viceland provides an unparalleled opportunity for advertisers to reach younger TV viewers through innovative advertising including branded pods and interstitials. Since launching in 2005, Vice New Zealand has been producing acclaimed editorial and video programming for young New Zealand audiences across a network of digital channels spanning news, culture, music, fashion, tech and sports. Emblematic video content has included an exclusive profile piece with infamous internet mogul Kim Dot Com at his mansion home, and an investigative feature on the synthetic drug industry in New Zealand. 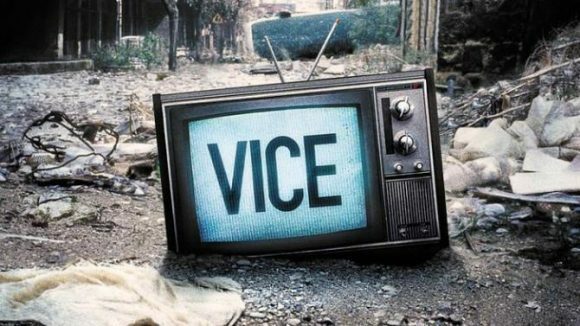 Vice has developed an outstanding global reputation for producing iconic video content for young people, forging innovative distribution partnerships with A+E Networks, HBO, YouTube, Snapchat, Live Nation, 20th Century Fox, Verizon, Spotify and more to take its programming to young people everywhere. Sky’s advertising sales division will handle ad sales for the new channel, while working closely with Vice, utilising the youth media brand’s extensive relationships with advertisers. Further information about the channel will follow in coming months. “Iceland will be exclusive to Sky”… jinkies, they’ve bought the country as well? Not quite, but clearly it would help if I could afford a sub-editor!